Happy Birthday! I hope your day was as good as your unicorn frosting! Creepy, Crawly, Slithery and Slimy! There were so many reptiles crawling around the youth center. 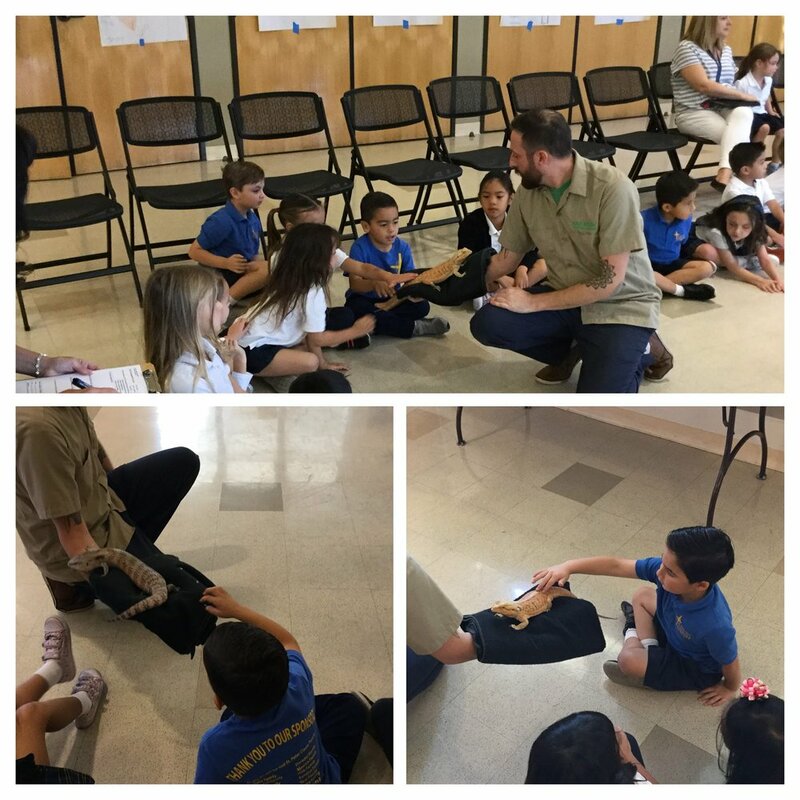 The kids were able to touch all the animals, they were so brave. Me on the hand, not so much. The Six year olds are starting to add up! We started a new poem this week. It’s all about turkeys. GOBBLE GOBBLE. It was fantastic to see how far the kids have come since we wrote our Halloween Poem. Our Thanksgiving poem is twice as long and they completed in in the same amount of time. Our handwriting is getting better as the days go by. Singing with Mr. Leslie every week is great. There is something in the sound of children’s singing that automatically boosts your mood. I love to listen to them and feel their enthusiasm as they praise God. Happy Birthday Ms. Mary. We hope we made you feel special today. Kindergarten loves you! We Are Thankful For Study Buddies! I love these sunglasses pictures. The remind me of cover art from a boy band CD. Just remember, it all started here on the St. Peter playground! Happy November everyone! The weather is starting to turn blustery and cold, so bundle up. I love it. What happened to the turkey who got in a fight? -He got the stuffing knocked out of him.